Spent the weekend in the 1000 Islands along the St. Lawrence River in northern New York. First stop was the Antique Boat Museum in Clayton, New York. The Quest for Speed exhibit in the Antique Boat Museum in Clayton, New York. Nikon D750/24-120VR, 1/50s, f/8, ISO 6400, EV +1.0, 24mm Focal Length. 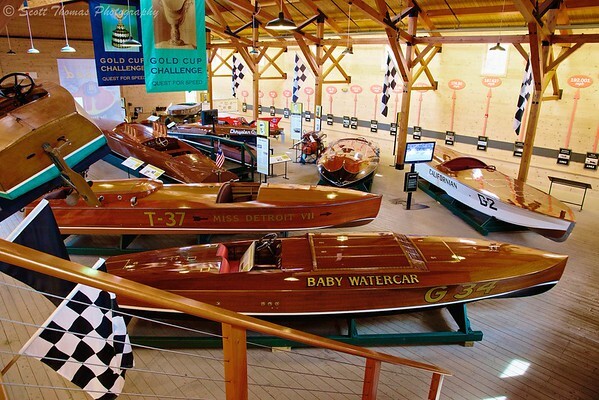 The museum has three hundred unique and beautifully-preserved boats focusing on the heritage of the Adirondacks and the St. Lawrence River. After spending a couple of hours enjoying, learning and photographing the boats, I checked in at the 1000 Islands Harbor Hotel in Clayton, New York. 1000 Islands Harbor Hotel in Clayton, New York. Nikon D750/24-120VR, 1/125s, f/16, ISO 560, EV +0.3, 31mm Focal Length, Polarizer. 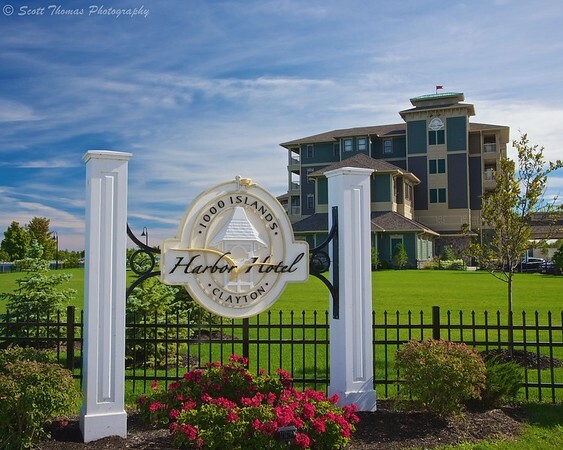 The Harbor Hotel is a beautiful resort right on the St. Lawrence River. In fact, the room overlooked the river and it was fun seeing the large cargo ships going up and down the Seaway. After spending the night in Clayton, I drove east up Route 12 to Alexandria Bay and took a launch over to Boldt Castle on Heart Island. 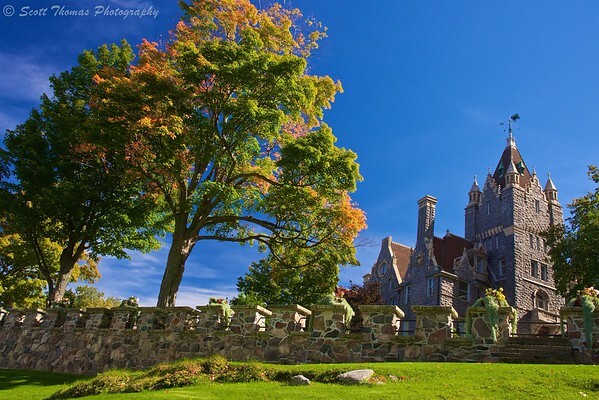 Boldt Castle in the 1000 Islands in the St. Lawrence River near Alexandria Bay, New York. Nikon D750/24-120VR, 1/125s, f/16, ISO 2000, EV +0.3, 27mm Focal Length, Polarizer. A lot has changed at Boldt Castle since my last visit back in 2007. A lot more rooms have been renovated and the Alster Tower is now open though still being worked on. October is a beautiful month. Now, I am just waiting for more autumn colors to show up. This entry was posted in Travel, Weekly View and tagged 1000 islands, 24-120mm, alexendria bay, antique boat museum, autumn, blue, clayton, filter, harbor hotel, new york, nikon D750, polarizer, river, sky, st. lawrence, vr. Bookmark the permalink.